Atheists hope non-belief will be included in the curriculum. The government of Wales introduced this week a White Book on Religious Education. Education Minister Kirsty Williams called citizens to express their views on how Religious Education (RE) should look like in the future. It is now possible to give feedback “on the legislative framework to facilitate the new curriculum’s implementation”. This open consultation will close on March 25. 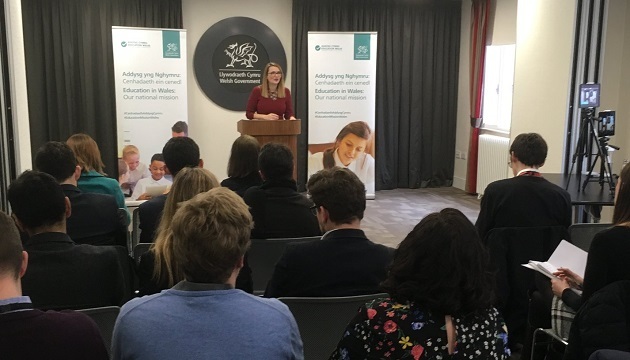 “It is our intention also that RE reflects our historical and contemporary relationship in Wales to philosophy and religious views, including non-religious beliefs”, the Ministry said. “Therefore the current legislation will be amended to ensure the agreed syllabus for RE takes account of non-religious world views which are analogous to religions (e.g. humanism)”. According to British broadcaster Premier, the organisation Humanists UK said the proposed changes are a “great advance for children and families”. On the government’s official website, citizens and organisations are encouraged to give feedback on issues like “the purpose and structure of the curriculum, the Welsh and English languages, Relationships and Sexuality Education for 3 to 16 year olds, Religious Education for 3 to 16 year olds, Right to withdraw from RE and RSE, and the assessment of learners”. The final Religious Education curriculum will be made public in April “for all schools to feedback and refine”. The main consultation document can be downloaded here.